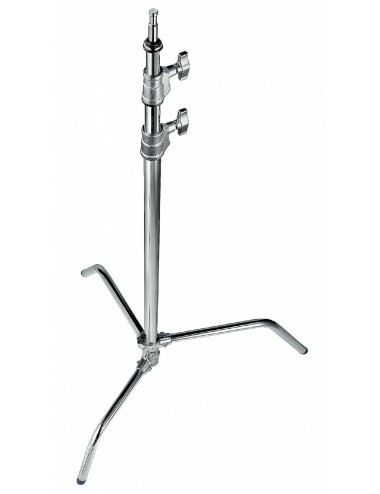 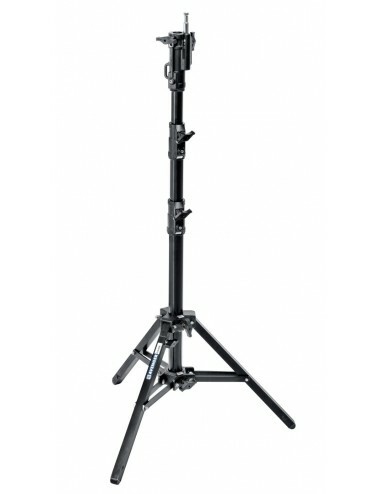 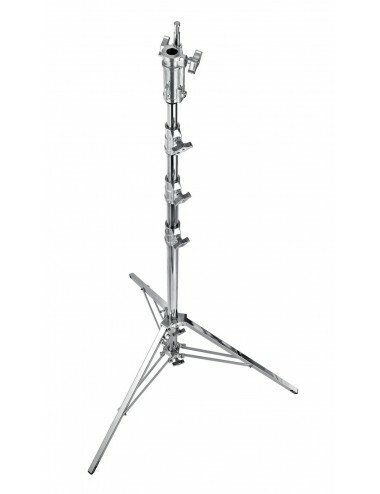 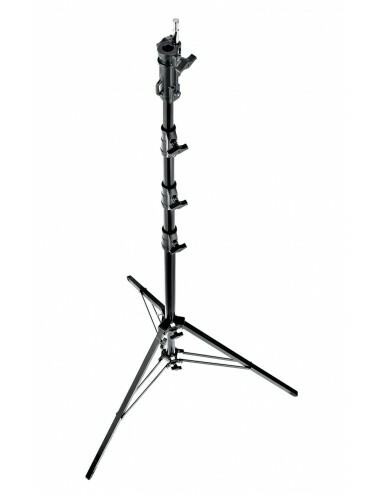 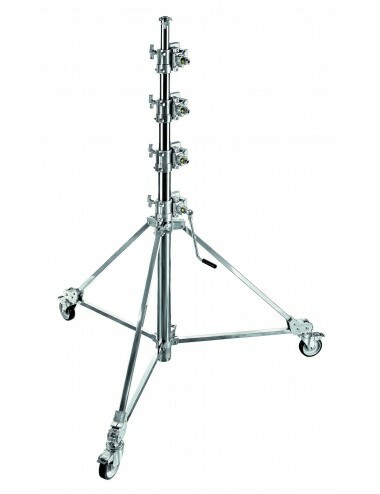 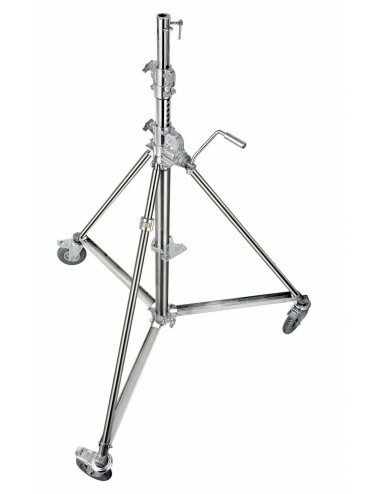 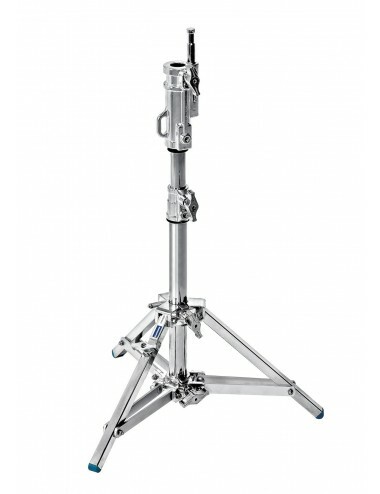 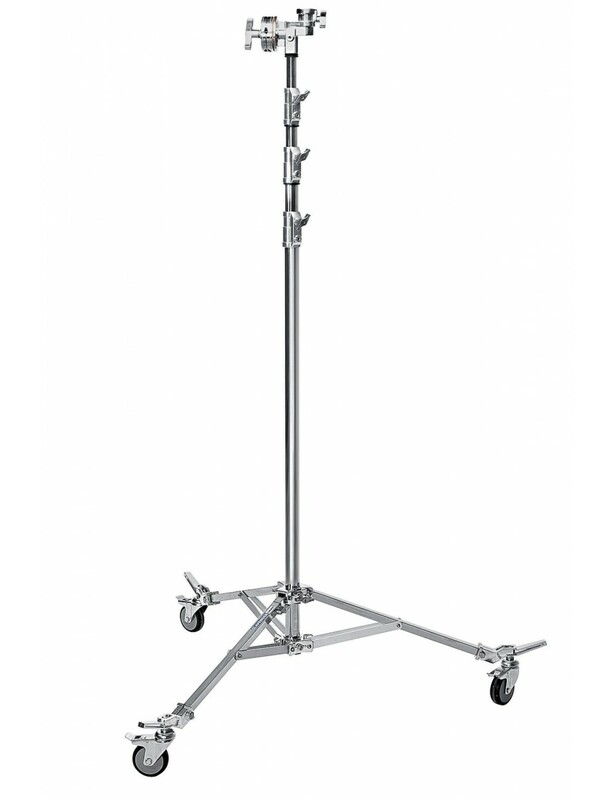 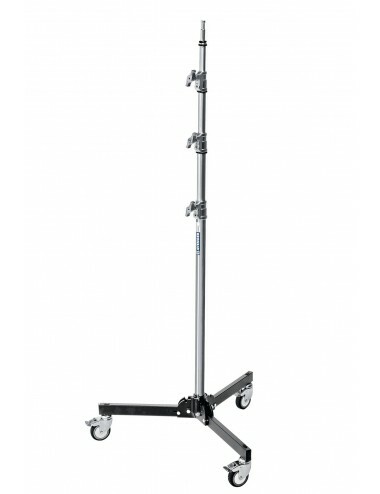 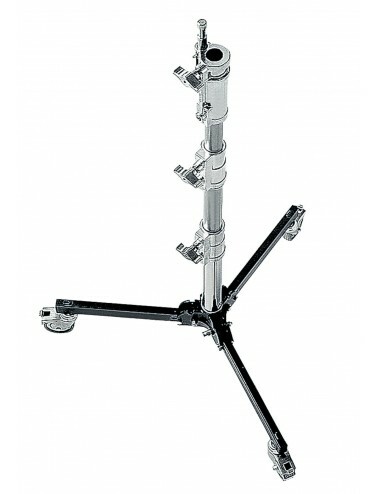 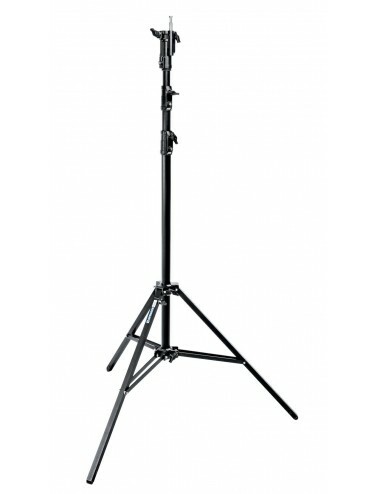 These overhead stands have been designed with a built-in grip head to use supporting poles, tubes and overhead frames. 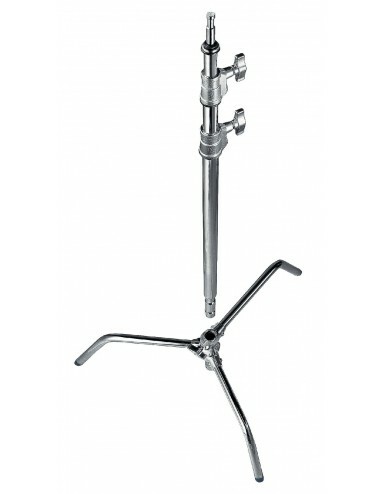 This chrome steel stand has 4 sections and 3 risers and a female 1 1/8" receiver. 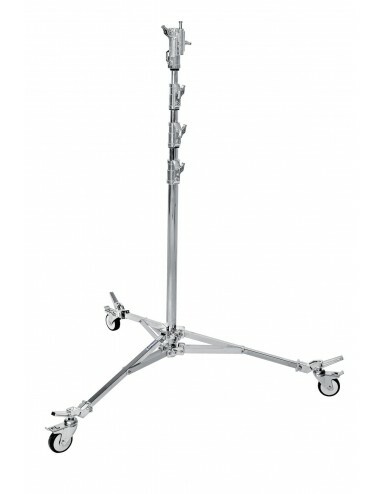 It also features braked wheels for easy transport. 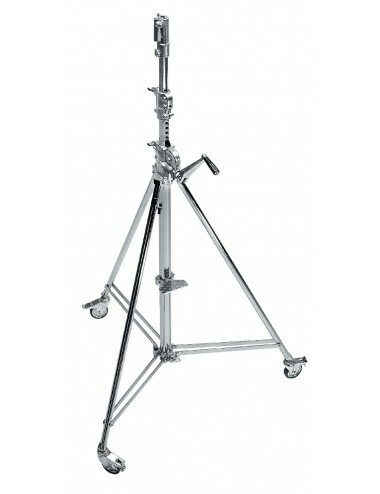 This stand can support a maximum payload of 40kg and can reach a maximum height of 5.78m.